Yeah, but do they really? I thought the money was to make the trailer themselves, presumably by paying someone to animate it (using the Kickstarter money). It was never mentioned that they'd need a third party. They might be playing it by ear, they've probably never tried to get a series back up and running (especially one from almost 30 years ago). At any rate, my friend came back with more information on Netflix. Might not solve the lack of producers, but maybe somebody in contact with them could run it by them? That would be Modad's department. They aren't disclosing who they've already talked with. Tremblay Bros. Studios has elected to conduct their process out of public view. So, hypothetically speaking, even if they did approach Jason DeMarco at Toonami, or even if they did approach Melissa Cobb at Netflix, or if they had repeated meetings with Village Roadshow Pictures, or if they lost out on a deal with Teletoon, or if Warner Bros. has filed counter-claims over rights, they wouldn't be saying anything about it. The Tremblays have their way of doing things, and this project (SWAT-Kats Revolution) will either succeed or die according to that. Christian Tremblay stated that he thinks this project is still within his expected time table of 5 to 7 years, though this is a much longer estimate than was previously given. But, as Erico has already mentioned (and everyone can recall/view for themselves), a trailer was part of the Kickstarter: a clear goal tier that was met and has yet to be delivered upon. And, if the issues concerning rights are still as described here, it should have been achievable by now. As has been previously mentioned, you are free to contact Tremblay Bros. Studios directly here to provide your suggestions and to inquire about the status of the SWAT-Kats Revolution trailer. 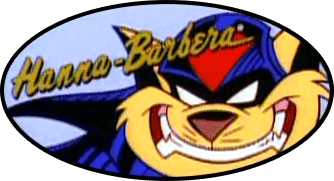 So, my proposal is this: We send them a message, telling them that unless they make good on SOME of their Kickstarter goals by June 1st of 2019, that Megakat City, as the voice and representative of the SWAT Kats fandom and online community, will take steps with Kickstarter through their Terms of Service to push for a full refund of the backer's money after that day. If they are unable or unwilling to deliver something MEANINGFUL about the new project in 6 months, after 3 YEARS of our patience and goodwill, then they are either unable to, or unwilling to. Areas highlighted in red that are assumed to be being referred to as the problems/unmet criteria. In this scenario, an area that may be in question is whether or not the goal tier of "trailer" is defined as a "reward" within the context of the arrangement, as donors received specific rewards according to their respective levels of financial contribution, but areas concerning project status and completion are likely in-effect and possibly actionable. It is also worth noting that Kickstarter absolves itself of liability, and that due to the nature of the legal agreement being defined as strictly between backers and creators, it would appear that the only "real" consequence that could be levied is a class action lawsuit, as there's not really any other kind of leverage to be drawn upon. And, I'm not sure that's an area that most SWAT Kats fans would want to tread in (but, I can't speak for everyone).